It seems every summer we like to build something that we can play with. 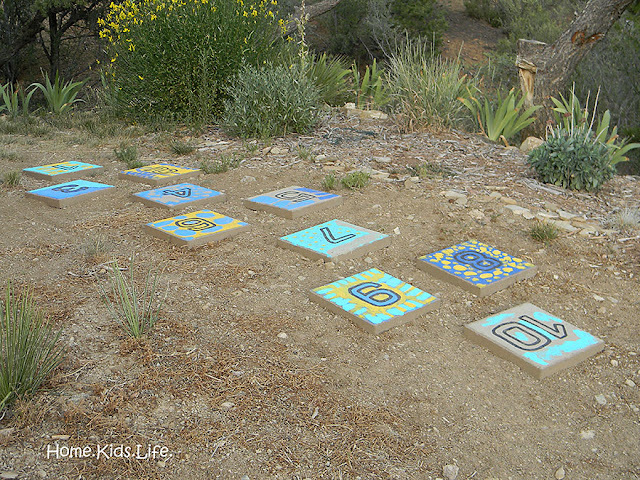 Last year we built a hopscotch set. 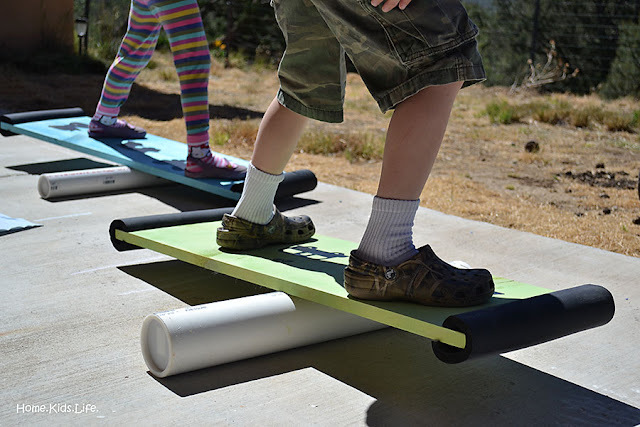 We also built balance boards. 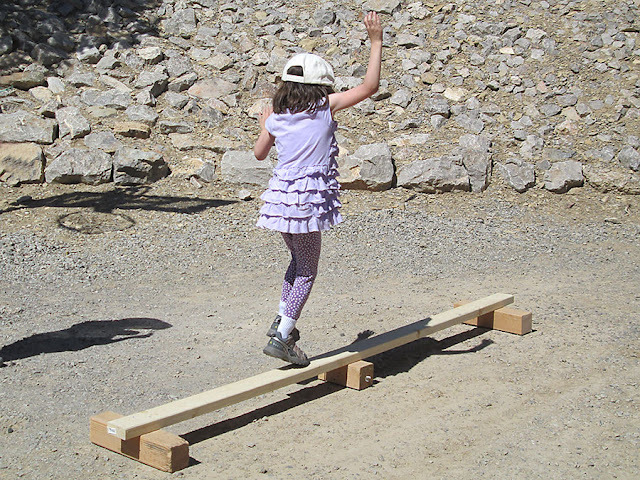 This year we I built a balance beam. Yep, patting myself on my back for that one. Though I did have to ask Biker Boy for a few tips as I took over his tools. 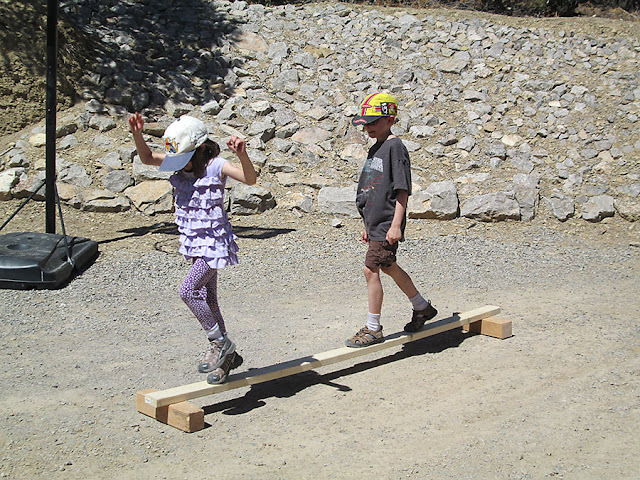 I don't have great photos (my camera is in the shop), but we're having fun with the balance beam. 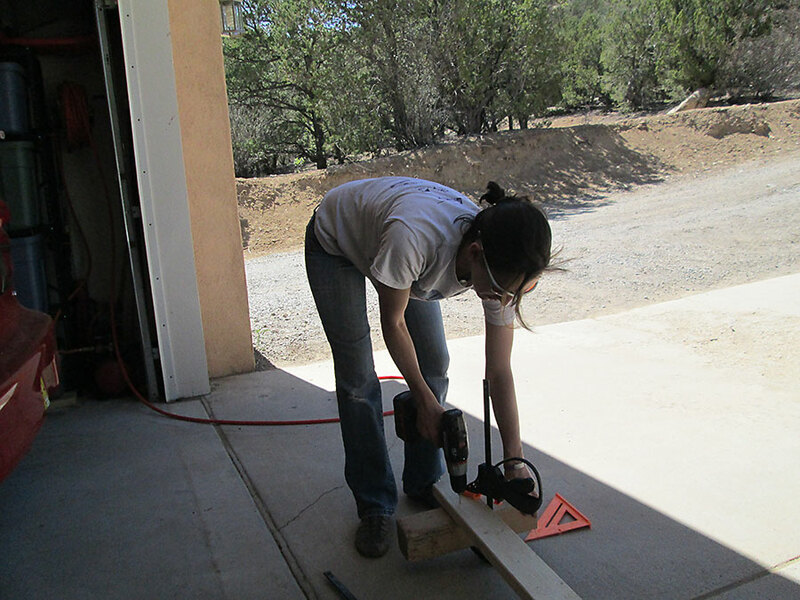 I used some scrap 4x4s (from our bench building project) and a 2x4 board to build it. I screwed the 2x4 into the 4x4s at each end with 2 screws each. Then I watched as the board bowed some in the middle. Oops. But mommy can fix that. I decided to add my last scrap 4x4 piece to the middle. The kids tried it out for me again. The balance beam has since moved to the back yard. It's also great for practicing bike skills on. Biker Boy entertained the kids and I with trying to ride his bike across the board. And I have no photographic evidence of that. But I'm sure he'll entertain us with that skill another time. And hooray...near two and a half week of work...but we've finished painting our new homeschool room. Now to get it ready for school! I'll get photos of it when I get my camera back (I left my memory card in it...oops). I've also got to get/build/find some bookshelves. And I've got lots of furniture rearranging to do, because I've got to relocate the treadmill and I can't get it through my doorway into the master bedroom.